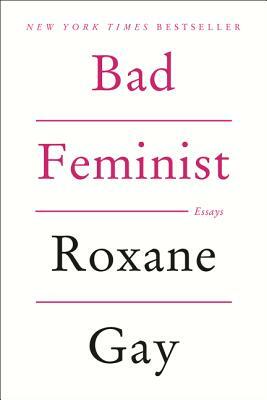 "I picked up Roxane Gay’s fantastic novel, An Untamed State, on a whim a few months ago. Having just finished her new book of essays, I have now progressed to being a full-fledged fan, and will yammer about her to anyone who will stand still long enough. Her funny and discerning collection of essays runs the gamut from playing Scrabble competitively, to watching Girls, to discussing current issues like abortion and women’s reproductive rights. She has the uncanny ability to state things in both an articulate and relatable way that will cause the reader to shake her head and say, ‘Yes, that is exactly how I feel too.’ I look forward to reading whatever this talented author produces in the future." "Don’t be tricked by this title into thinking this is some sort of a confessional. Gay may acknowledge the flawed nature of her feminism, but really, it’s more like she’s championing this, and surely acceptance of one’s shortcomings can only make a movement more inclusive. To my thinking, Gay is at her best when she’s telling stories, like her journey through the world of competitive Scrabble. But whether she is talking about The Hunger Games (a fan) or Twelve Years a Slave (might be burning out on slave narratives), Gay can argue passionately about just about anything. Did I always agree? No, but I always found the arguments eloquent and persuasive." — Self, "Smart beach-read alert"
— Vulture, "8 Books You Need to Read This August"
— New York Magazine, "Approval Matrix: Highbrow and Brilliant"
— Cosmopolitan, "28 Life-Changing Books Every Woman Should Read"
— Tanvi Misra, Atlantic, "The Best Book I Read This Year"
— Gawker, "The Best Books to Give This Holiday Season: A Bookseller's Guide"
— Buzzfeed, Sami Main, "28 Best Books by Women in 2014"